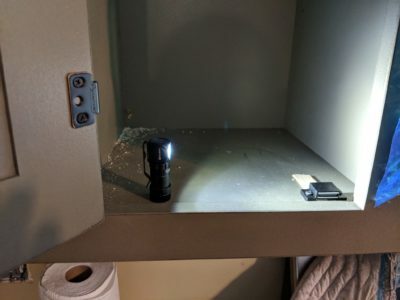 I have now used the Olight H1R Nova Headlamp for over a month and I remain super impressed. Click this LINK for full update and pictures of use. Princeton Tec has been making headlamps for over 40 years, and I can still remember my excitement when I bought my first Quad headlamp. Princeton Tec continues to innovate and I will be reviewing one of their newest headlamps the Axis. 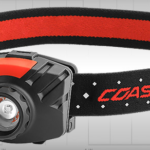 Read on for my initial thoughts on this headlamp. The Iota packs a punch in a small package with a maximum light output of 150 lumens and a minimum of 4 lumens. The manufacturer indicates on the packaging that this is “a tiny rechargeable light for morning runs or post-work scrambles”. Not sure how many of you are as frustrated as I am (and sleepy) because it gets dark so early, and stays dark so long. Here in Maine, its pitch dark by 4:30 pm, and still dark at 7:00 am. Not only does this cut into my outdoor time, it makes doing anything outdoors more difficult. Have you ever walked a mostly black dog in the dark? She’s off leash and hard to spot, that’s for sure. Thankfully, the COAST FL70 Headlamp has rescued me from stumbling around in the dark. 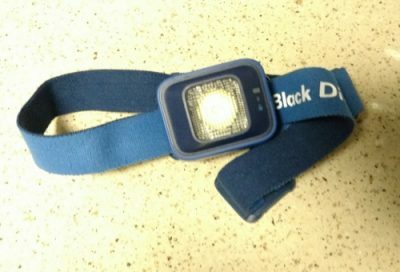 I wear it while walking the dogs, while trying to see into dark spaces and keep it with me while driving in bad weather. Check out the first part of my review HERE, and see what is so special about this light! The COAST FL70 was provided for review purposes. Now that the clocks have been adjusted, its getting dark awful early on the east coast. How about where you are? By 4:30 or so, its too dark to be out with out some type of light. 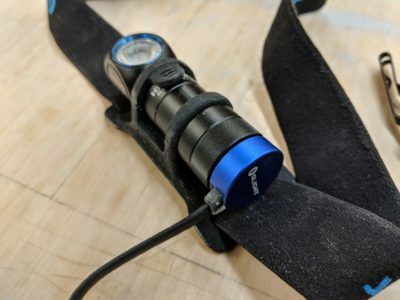 Especially if you are looking for coyote, or they are looking for you… Check out the first part of the review of the Petzl Tikka Headlamp. 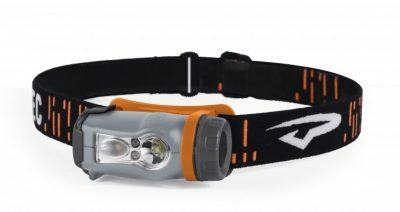 Petzl provided this headlamp for review purposes.